This workshop is 6 hours. While always trying to push the envelope of what constitutes a book or journal, I have developed the "Spool Journal". 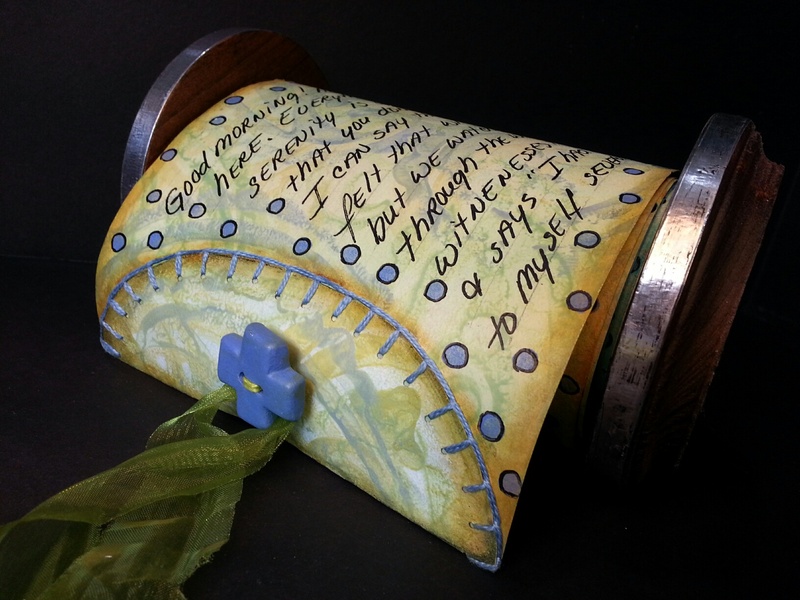 One day while wrapping yarn on to some of the spools from my small collection of vintage industrial spools, I started exploring the idea of using spools as a structure for journaling. 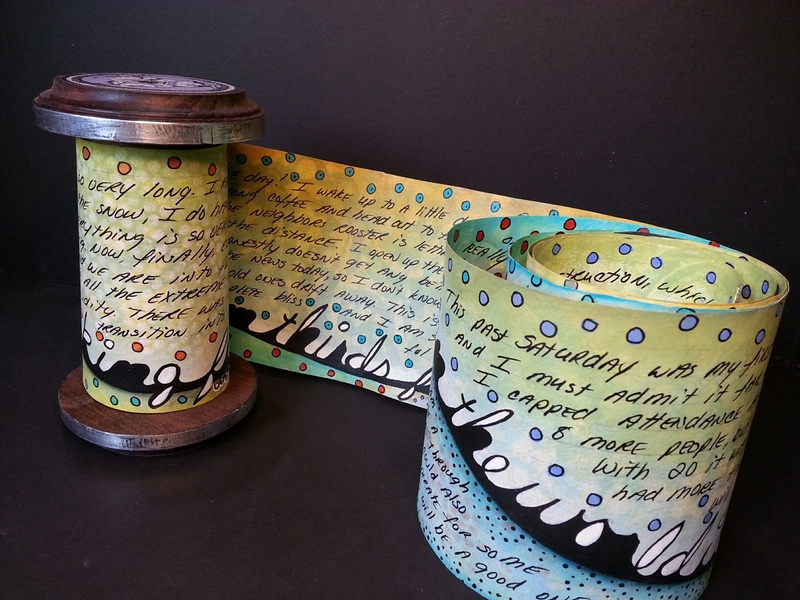 I immediately got to work on creating a "Journal" with the look and feel of these old spools. I then quickly learned that I love journaling on an almost never ending page! Imagine a total of 32 feet of paper to journal on! We'll be using "Almost Asemic Writing" along with writing in this flowing style of journaling, a delightful combination! 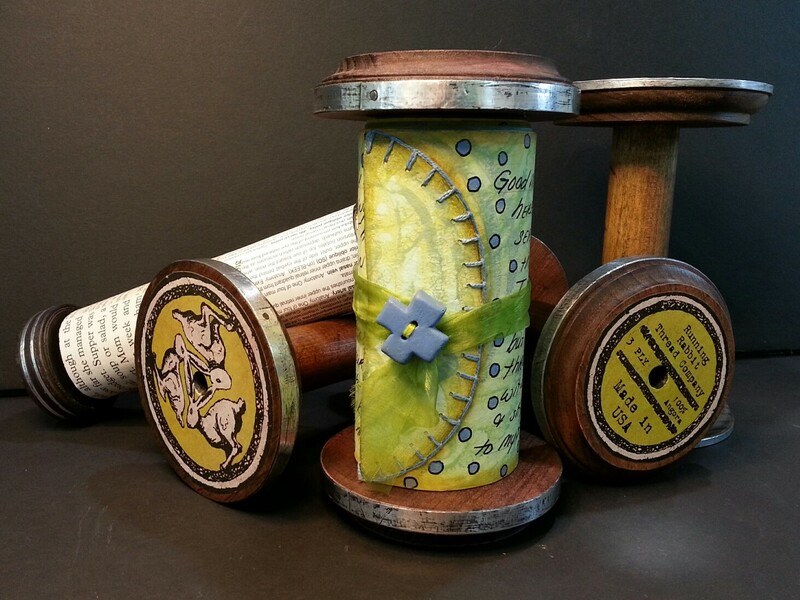 The spool is 4" X 8" tall, solid wood construction with metal bands (to replicate the look of antique spools) and includes a 16' roll of paper. While this is not a difficult class, it may also interest advanced students, as this is not a typical journal structure.